" We have assembled a complete package kit to help you boost your SEO Service Sales or start your own SEO Agency. Our SEO Reseller Kit includes Access to our white label platform, CRM, Marketing guide, training, dedicated reseller manager and more. Our reseller kit is open and accessible for both established SEO Agencies to New Startups. " Ideal for agencies who have website and already selling seo services. For individuals who wants to startup their own SEO Agency and sell digital marketing services. Bring your own packages and we will migrate at 100 accounts/week ratio. Isn’t SEO Reseller Kit free? Yes, it is free for all. You only need to pay if for add ons, which are optional. Do you offer agency/bulk account discounts? Yes. Contact us here for the bulk accounts discount. Who benefits the most with SEO Reseller Kit? SEO Agencies, Sales Professionals, Web Design Companies, IT Companies, Freelancers or anyone who wants to sell seo. 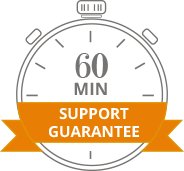 Do you offer pre sales support and training? Yes, we do offer pre sales support, product training and answer to all your queries to help you with all you need to run your business successfully. Is add ons purchase compulsory? No. But add ons helps you in two ways 1. You get your responsive and pre-optimized website setup. 2. You get continuous onsite optimization, backlinks and one time ppc optimization to start bringing leads flow to your business. It is not compulsory yet highly recommended. Is SEO Reseller Kit white label? Yes. You get overall white label resources including access to dashboard, ranking tool, marketing and sales support, reporting, website and more, All 100% white label. Our partners can top up the amount any time. We deduct the balance whenever the account payment is due. Or you can always opt for two billings 1st and 16th of each month.